Welcome to the 13th Annual Natick PMC Kids Ride! While this year's fundraising goal is $75,000, a private family foundation has generously offered to MATCH every dollar the Natick PMC Kids Ride raises, up to $100,000! Join the fun and help us reach our goal! 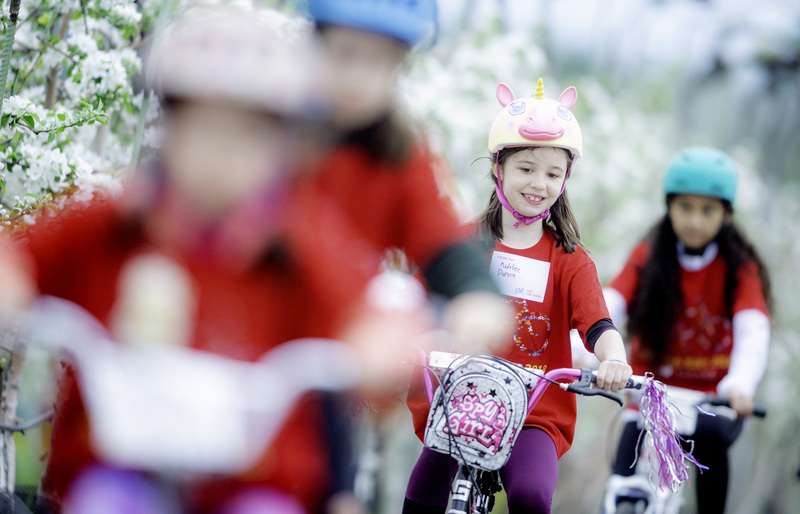 By riding and fundraising this year, your child has a unique opportunity to double their impact! As you may know, 100% of the funds raised through the PMC always go to cancer research and treatment at the Dana Farber Cancer Institute and the Jimmy Fund. But this year, 200% of the money our kids raise will go to this purpose. This is truly "kids helping kids" at its finest. Please stay for the POST-RIDE PARTY starting at 10 am. Riders and their families can enjoy refreshments, music, a FUN kids raffle, SUPER silent auction, face painting, and many other fun activities! PMC Kids Rides give children the opportunity to experience the joy of volunteerism and charitable giving through physical fitness and community spirit. Money raised through the event goes to the Pan Mass Challenge/Jimmy Fund, the most successful athletic fundraiser in the nation. Kids also have the option to raise funds in the name of a relative or friend fighting cancer or to dedicate their ride to a special person. Click on "fundraising" in the top menu to learn great ways to make a big difference! As always, 100% of funds raised goes directly to the cause... you don't get more efficient than that! 9 - 10 am – RIDE! 10 - 11 am – After party with games, raffle, silent auction, snacks and more! 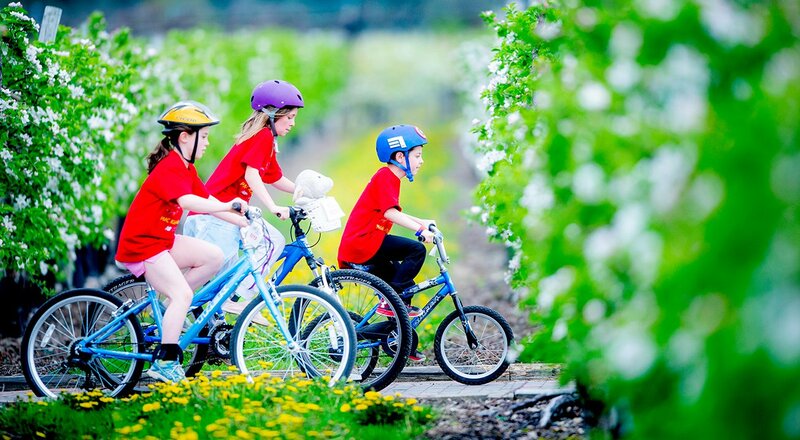 Mini Fruit Loop: A central course for the littlest riders on more than two wheels, such as big wheels, trikes or training wheels. Adventure Express: A 1.1 mile circuit through the orchard pathways for riders on two wheels. '47 supports the 2019 PMC Kids Rides program. Riders who register for the Natick PMC Kids Ride and pay a $20 registration fee will receive a $20 coupon to the Jersey St. store (19 Jersey St., Boston, MA) in their registration packet. Certain restrictions apply, coupons expire December 31, 2019). Too Old To Ride? If you're 13 or older, you can join the fun as a volunteer.All volunteers will receive an official PMC Kids Rides volunteer t-shirt! Community service hours available for high school volunteers. The Natick PMC Kids Rides relies on local sponsors to help keep costs low and so that the PMC can continue to donate 100 percent of every rider-raised dollar directly to Dana-Farber Cancer Institute. If you or your company are interested in becoming a sponsor or to donate items (pizza, ice cream, snacks, sporting tickets, gift cards, baskets, etc) please click on the button below.